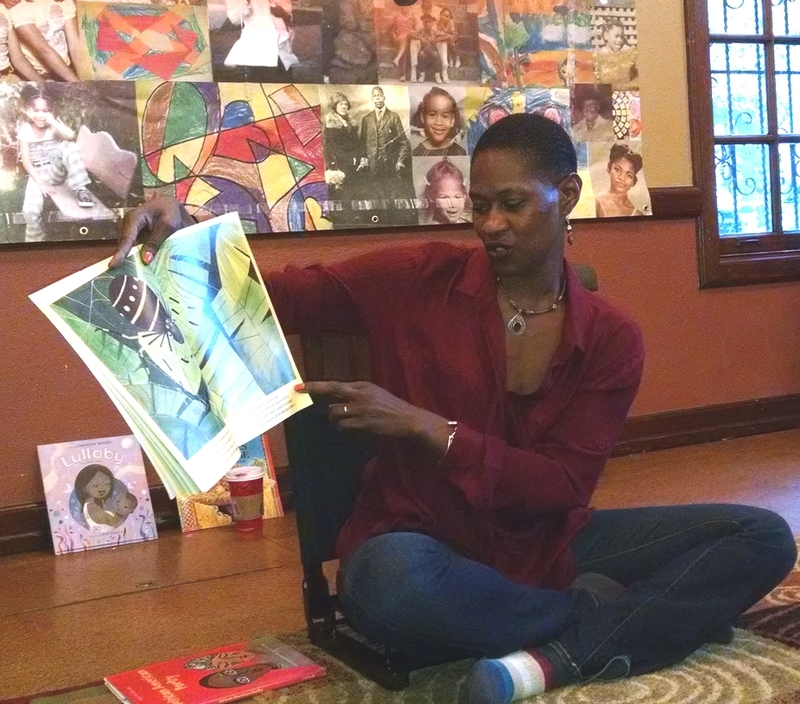 Our November Chocolate Storytime guest reader was Staci Mitchell, a native Pasadenian and former member of the John Muir High School 1989 All Star Track and Field Championship team. Staci currently lives in Altadena with her husband and 3 children, volunteers extensively in the community and is the Vice Chair of the San Rafael African American Parent Council (AAPC) and a team mom of the John Muir Basketball and Cheerleading teams.In addition to her family responsibilities and community work, Staci is also a Pan African Studies lecturer at Cal State LA and a theatre practitioner specializing in investigating roles and multiple identities of women in the African diaspora. A former adjunct faculty for the Theatre Arts & Dance department, Staci has worked on several Los Angeles stage productions and is a member of the Robey Theatre Company. She has been twice nominated for NAACP Theatre Awards. Staci has also worked in independent film and television and as a voiceover artist and orator. A poet and playwright, Staci followed up her meta-theatrical solo piece, Beloved Woman, Mother, and Wife with a short play, She, based on the artwork of Kimberly Jordan, and a full-length play, Holy, Seductive Dance.In 2014, Staci was named Lecturer of the Year by the California Faculty Association at Cal State LA. Staci her earned BA degree in Theatre Arts & Dance and her MA degree in Theatre Arts with an emphasis on Womanism and Black Feminine Identity from California State University, Los Angeles. Before joining the faculty of Pan African Studies, Staci developed and facilitated a theatre program for high school students in the Pasadena Unified School District. In her spare time, Staci enjoys reading, poetry, gardening, music, cooking, and dance–all types including modern, West African, and hip hop. Below are the books that we read for the November 2014 Chocolate Storytime. Some of the books have been purchased from Eso Won Bookstore in Los Angeles or Vroman’s in Pasadena, or checked out from the La Pintoresca Branch Library. 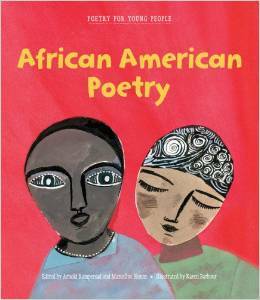 The newest addition to the acclaimed Poetry for Young People series shines a light on the power and beauty of African-American verse. The classic poems come from some of the most influential and celebrated African-American writers in history, including Langston Hughes, Gwendolyn Brooks, Countee Cullen, Lucille Clifton, and James Baldwin. 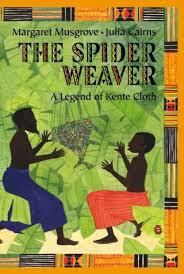 This is the legend of a master spider weaver and the remarkable gift she gave to the people of Ghana. The colorful patterns of its magical web were woven into the unique fabric of kente cloth.